BRYAN EATON/Staff photo. Youngsters under the supervision of Elissa Shoreman do one excercise where they use only their feet to transport a box to each other. 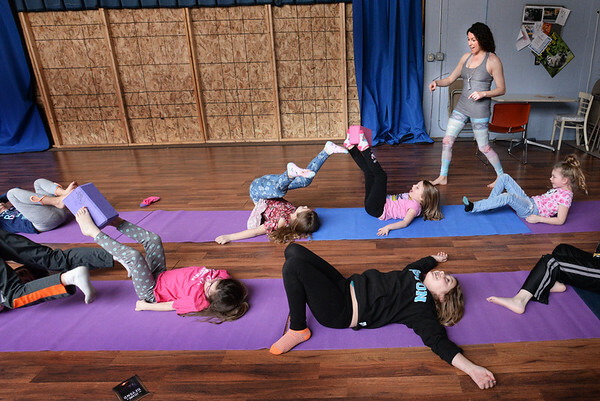 The yoga instructor from Rowley teaches the class at the Boys and Girls Club in Salisbury on Wednesdays.